Complex Says: If you follow F1, you could be forgiven for thinking of Webber's Red Bull Racing teammate, Sebastian Vettel. As of the end of the 2011 F1 Championship, Vettel's now a two-time world champion. But back in 2010, before Vettel's first championship, teammate Mark Webber was leading the F1 Drivers' Championship with only four races remaining. Then Webber went mountain biking with a friend the Sunday before Suzuka, which was the fourth-to-last race of the season. 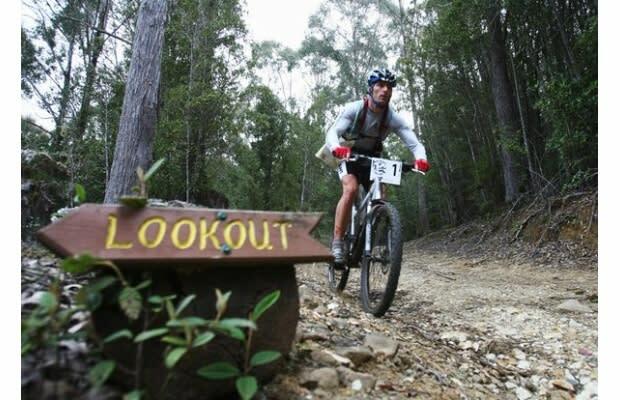 He hadn't gone mountain biking in two years, after a previous accident. A riding buddy crashed in front of him, leading Webber to fly through the air (sans RBR Webbercoaster) and fracture his shoulder. He had cortisone injections before two of the remaining races to dull the pain, but otherwise kept going like normal. He never told his team members about the injury--in fact, they didn't find out until a book Webber had written about the 2010 season came out.